Formed in 2001 by three of four original members of legendary prog/math/noise metal band Kobong. Bogdan Kondracki (bass, vocal), Maciej Miechowicz (guitar), Wojtek Szymański (drums). Later bassist Tomasz Kamiński was added to the line-up and Kondracki focusing on vocals. 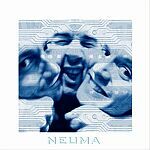 Released album "Neuma" in 2003 (via self estabilished independent label Tone Industria). Album described by the publisher as "heavy trance riffs, charismatic vocals, painterly soundscapes clashing with sharp independent polyrhythmics - modern music of the XXI century". 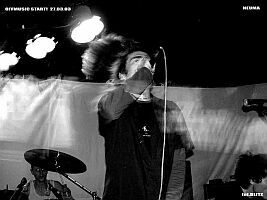 After releasing the debut album the band has been touring with other bands from the Tone Industria label like moja adrenalina, Progrram. Curently only guitarist Maciek Miechowicz and bassist Tomek Krzemiński are left from the first line-up. Karol Ludew (Moja Adrenalina) is the new drummer, Alek Korecki (formely of Tie Break, Brygada Kryzys)is saxophonist. The band is now working on their second record (to be released in November 2006). "New NEUMA without vocals, but with drilling saxophone instead is the next step towards uncompromising avant noise trance". There is also an American adult contemporary / R&B artist called Neuma, consisting of songwriters and musicians Jerry Richard and Alix Ehrhardt. They have released a self-titled album.